After a crime, victims are often faced with the stress of dealing with police and lawyers but for Islanders with hearing impairments this can be especially difficult. After a crime, victims are often faced with the stress of dealing with police and lawyers but for Islanders with hearing impairments that can be especially difficult. 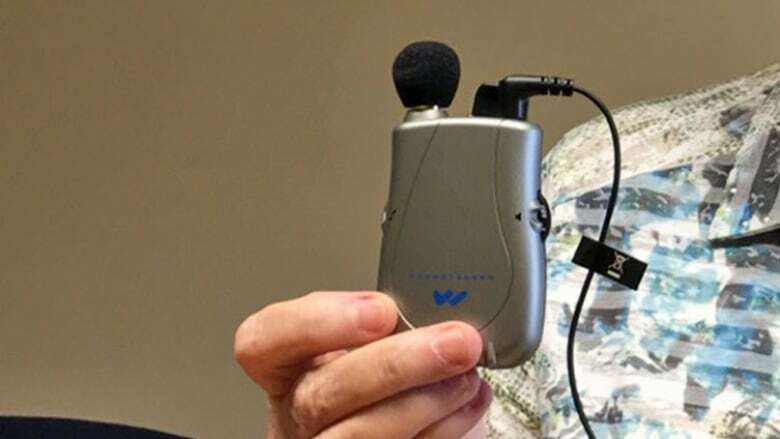 With this in mind, the province's Victim Services division has introduced pocket talkers — devices that help with hearing — in an effort to ensure more accessibility within the justice system for Islanders with hearing loss, in Charlottetown and Summerside. Pocket talkers are hearing accessibility tools that help improve communication in difficult listening environments and can be used during one-on-one conversations. The device helps to amplify and improve the clarity of sound. "It's really important for us because anybody who's been a victim of a crime tends to get very upset, very nervous," said Daria Valkenburg, co-president of the P.E.I. chapter of the Canadian Hard of Hearing Association. "If you've got — on top of that — hearing loss, it becomes even more difficult to concentrate. If you can't concentrate you can't really hear well." The introduction of pocket talkers at Victim Services is part of a wider initiative spearheaded by the association over the last two years in partnership with the Law Foundation of P.E.I., which also funded the project. What began as a program to have lawyers across the Island equipped with pocket talkers in their offices has grown into a mission to make all legal departments in the province more accessible for Islanders with hearing impairments. Clients of Victim Services with difficulties hearing just need to ask and a pocket talker will be provided. The initiative was inspired by members of the association who had a difficult time hearing when dealing with legal issues, Valkenburg said. "People going to law offices and not really hearing what the lawyers are saying but being afraid to say, 'I can't hear you,'" she said. Her own mother had a challenging time hearing a lawyer several years ago because she was afraid to appear "stupid." "And as we're going along we're finding out her story isn't unique," Valkenburg said. Valkenburg is grateful for the legal community's enthusiasm in ensuring accessibility within the justice system for Islanders with hearing loss. "I must say they have gone out of their way — here on P.E.I. — to make sure there is access to justice," she said.